Among the Library's primary missions are instructing students and faculty in techniques of library research, and promoting information literacy. Instruction takes many forms, from working one-on-one with patrons to producing resource handouts to leading formal instruction sessions that address specific assignments or disciplines. Upper-level and discipline-specific classes also benefit from instruction sessions that demonstrate those print and electronic resources that are most useful to specialist researchers. 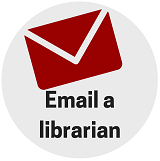 You can visit us: the Library is available for the scheduling of instructional sessions, which usually assume a lecture / hands-on format, exposing students to both theory and a supervised introduction to library resources. In-house sessions have the advantage of allowing easy access to all Hewes collections. There are several areas of the Library designed specifically with an eye to instruction, including the Barnes Electronic Classroom on the Lower Level, and the HL124 Instruction Area on the Main Level. We can visit you: we are also happy to come to your classroom to demonstrate databases, research techniques or any other skills from which your students may benefit. Many classrooms are equipped with data ports and digital projectors that allow easy demonstration of electronic resources. To set up an instruction session for your class, please contact Public Services Librarian, Anne Giffey (309-457-2303, agiffey@monmouthcollege.edu) to schedule a time and date. Instruction sessions work best with an assignment to accompany them and the students tend to learn the most from the session. Instructional sessions often take place in the Barnes Electronic Classroom located on the Lower Level of the Hewes Library. Librarians can also visit your classroom if this fits your schedule better. 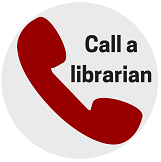 The librarians of Hewes Library are available to talk to all levels of students. Introduction to the library and library research is recommended for all Introduction to Liberal Arts courses to familiarize students with an academic library and scholarly sources. Review sessions for upperclassmen can also be arranged to remind them of some of the library's resources before they begin their more intensive research projects. Again, visits to the library work best when the visit accompanies a specific assignment or task that students need to complete. The Introductions to the Liberal Arts classes and the Fundamentals of Communications classes both visit the library during first year student's initial time on campus. 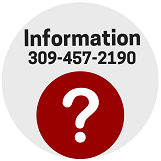 If, as a faculty member, you would like to schedule an additional visit, please talk to a librarian to schedule an appointment.